Please join us on Friday, September 21st for a Dia De Los Muertos kickoff event! 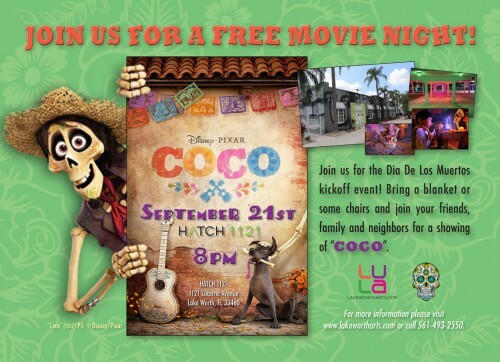 Bring a blanket or some chairs and join your friends, family and neighbors for a showing of "COCO". Admission and parking are free. For information please call 561-493-2550.